The area in the far north of Sweden are known for its vast expanses, high mountains and deep forests, beautiful nature and peaceful silence. 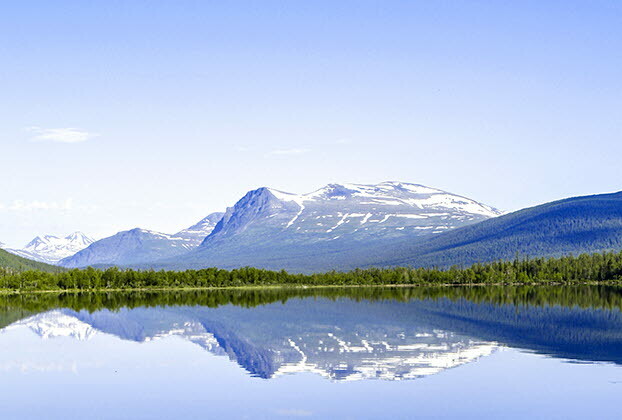 This is where you find Swedish Lapland. In the winter, you have the chance to see the magical Northern Lights that illuminate the sky with fantastic colours. In the summer, you can experience the dreamlike Midnight Sun. The best way to explore northern Sweden is of course by staying right in the heart of nature. Find your campsite here, you can stay in a cottage, tent, caravan, motorhome, hostel or hotel room.